The internet has helped us make life faster and more seamless, but what happens when you haven’t secured your computer or network properly? Disaster can strike, below we have compiled a list of things to check on your home or office network to prevent the bad stuff of the internet getting the better of you. 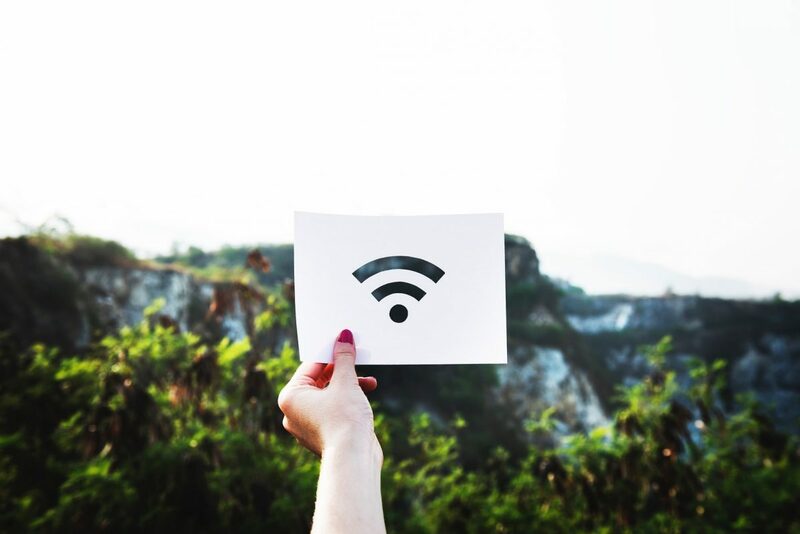 Your router provides your last line of defence between your local network and the internet, and with the uPNP service enabled services that you are most likely not even aware of can be broadcasting out to the internet as you speak. Our recommendation is to check that the uPNP service has been disabled on your modem to prevent unwanted traffic from gaining access to your computers. To check that the service has been disabled do a quick google of your modem to find where the setting might be located. Just as your router provides your last line of defence to the internet, your WiFi password too provides last line of defence to unwanted intruders onto your wireless network. And given that every single modem today will provide wireless internet access it would be wise to choose a password that is strong & not easily identifiable. Remember that modems are getting stronger, and most homes & offices have WiFi strength to reach the whole property as well as neighbours or people passing by. Changing your password on a regular basis will keep intruders from gaining access or maintaining access if already gained. Another consideration is the type of WiFi security used, there are a few options on modems, always opt to use WPA2 as this provides the highest level of security, if your modem is using WEP this can be cracked easily & quickly. With most of our lives revolving around online accounts ranging from banking to email, we strongly recommend using different passwords for each account. The trick is to generate passwords either from a software application like lastpass or finding password phrases like “TheBrownDogisOnhisWayHome” (Don’t use this one, it’s mine) using passwords like this adds complexity by length and is completely random making it harder to guess. Bad passwords would be anything that could easily identify you like your ID number, cellphone number, home address and so on. Contrary to popular belief, not every link you see posted on social media platforms like Facebook or Twitter are trustworthy. Some of these links can be virus infected and once you click on the link you run the risk of infecting your computer with keyloggers, malware and all sorts of dangerous stuff. Even with the best antivirus products in the world, don’t let anyone ever let you believe that you are 100% safe. Especially with email attachments. Hackers spend a lot of time figuring out ways to bypass security systems to send you attachments or links that can infect your computer and quickly spread through the network. Most antivirus products will detect these attachments as harmful or malicious but at the end of the day it is up to the user to be cautious and weary with any and every mail that is received. We have seen attachments that are legitimate PDF documents that have links embedded within them to bypass even the best security systems. These PDF’s itself are not malicious alone but if you click on the link inside the PDF that is the danger. We all love free software, in-fact who doesn’t? Free software on the internet can also sometimes be ridden with malicious backround tasks that steal your data & passwords. Don’t get us wrong, some software if great and works without any security problems like Adobe’s PDF reader amongst others, but always pay attention to any software you decide to install & check the location where it comes from. Generally websites filled with adverts should be a no-no, so it is up to user discretion & if unsure, always ask a professional as most of them would be able to identify the software. Now while on the topic of software and the free stuff. Using cracked software is always dangerous. As a rule of thumb, never use any software that has been cracked, there are several reasons for this, most importantly it’s a violation of law, then there is the problem that you do not know what has been added in the crack, this could be a disaster waiting to happen as malicious computer code is most likely inserted into the crack. Choosing the right antivirus product is almost as tricky as playing the lotto & finding the right combination of numbers for the win. There are so many different choices of product on the market that are come in both free & paid versions that make the decision very tricky. Our recommendation is to always use the paid versions, this ensures that you are not getting limited protection. Our personal recommendation is Eset Antivirus products, they offer a wide variety of paid products that offer the protection you need and want without affecting computer performance. If you are unsure of what product to use, remember that most antivirus providers will offer you a trial version of their product for 30 days to test and see if you are happy before paying anything. This entry was posted in Internet, Security and tagged Antivirus, Eset, Internet Security, IT Security, Wifi.